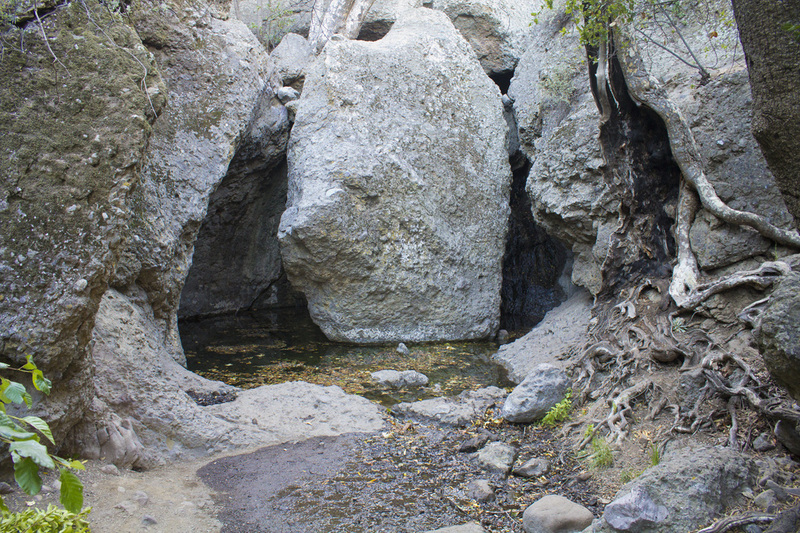 The Grotto is an almost otherworldly tumble of rocks and boulders that form a semi-circular cave at the lower end of a canyon below Sandstone Peak. During the rainy season, a small waterfall forms from the above creek bed and cascades down the inner recesses of the Grotto. 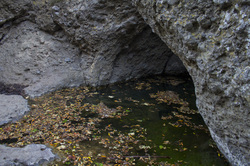 The boulder field surrounding the Grotto provides plenty of opportunity to boulder and crawl around in unexplored spaces. Adventurous hikers can even make their way around the inside of the Grotto itself to get up close with the waterfall when it is flowing. 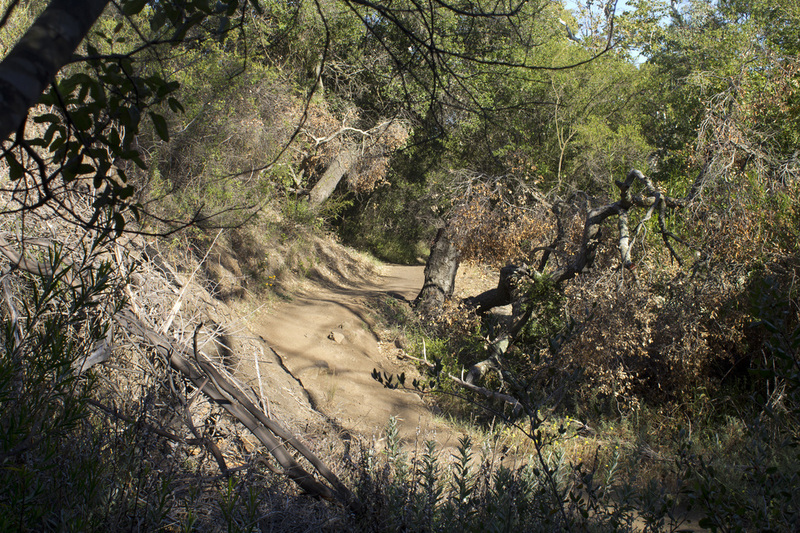 The trail to the Grotto, however, can be somewhat deceptive. 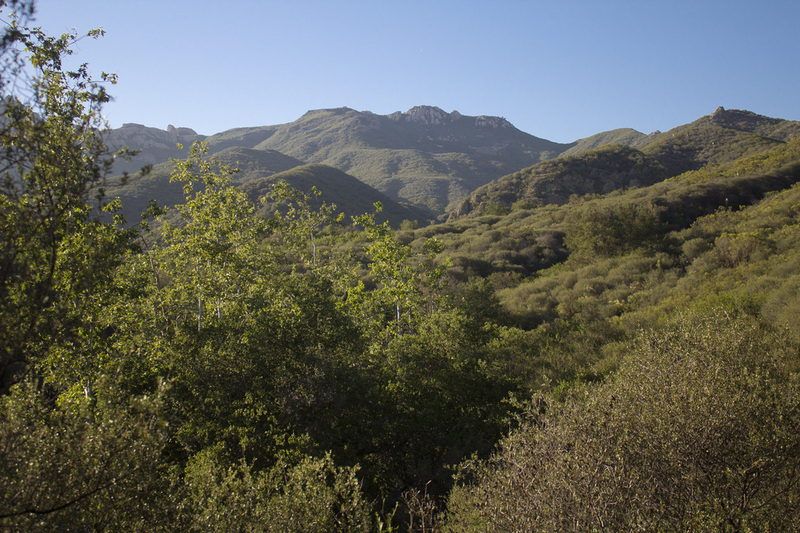 To start, there is a .25 mile hike from the parking area to the trailhead, which adds .5 roundtrip to the hiking distance. This fact is sometimes left out when describing the 1.3 mile trail to the Grotto on other sites and should be kept in mind when planning a trip. The trail also descends nearly 600' to the Grotto meaning you will be hiking uphill on the return trip with the bulk of that elevation change happening in the first third - or last third, depending on your perspective - of the hike. This can make for a very strenuous climb back to the parking area. The descent down the trail is actually fairly easy and after that initial sharp descent levels out to a more moderate and at times even easy trek. 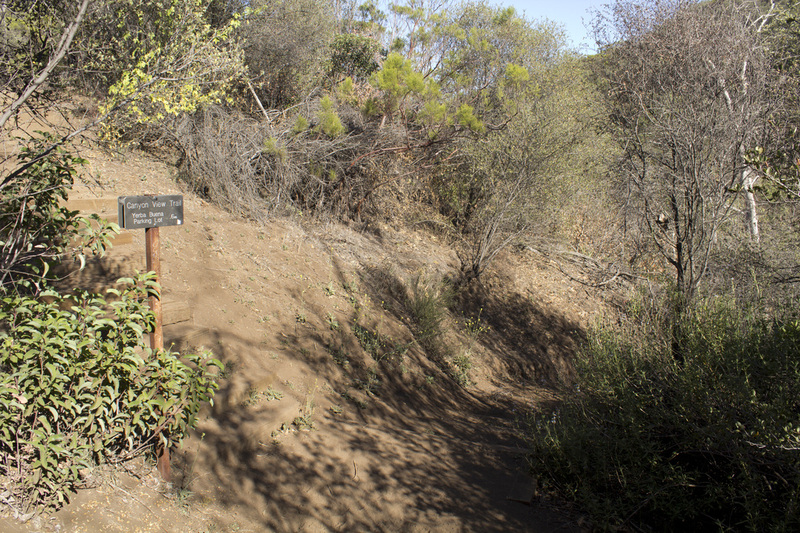 In fact, you will probably forget the steepness until you start huffing and puffing at the end of your hike, wondering where this incline came from. 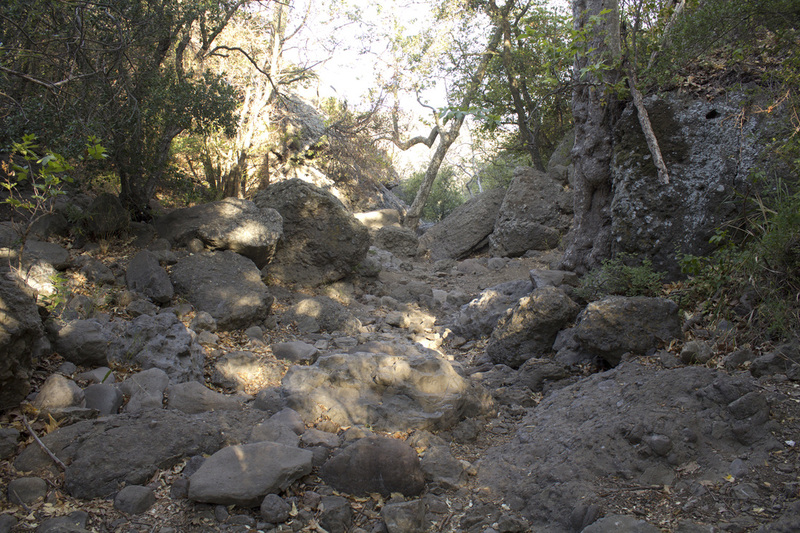 The trail ends at the boulder field above the Grotto, and you will have to scramble over some steep drops in the rocks to access the final destination. 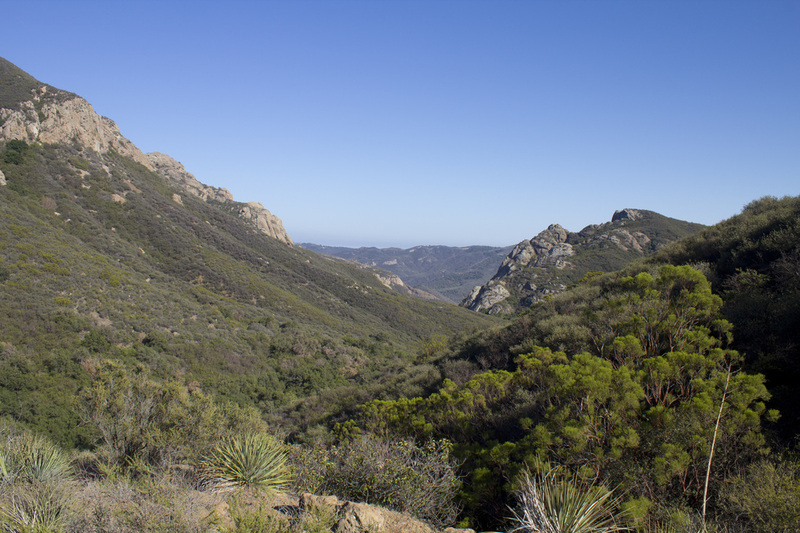 But the end result is worth the effort with some great views of Sandstone Peak and the surrounding mountains. 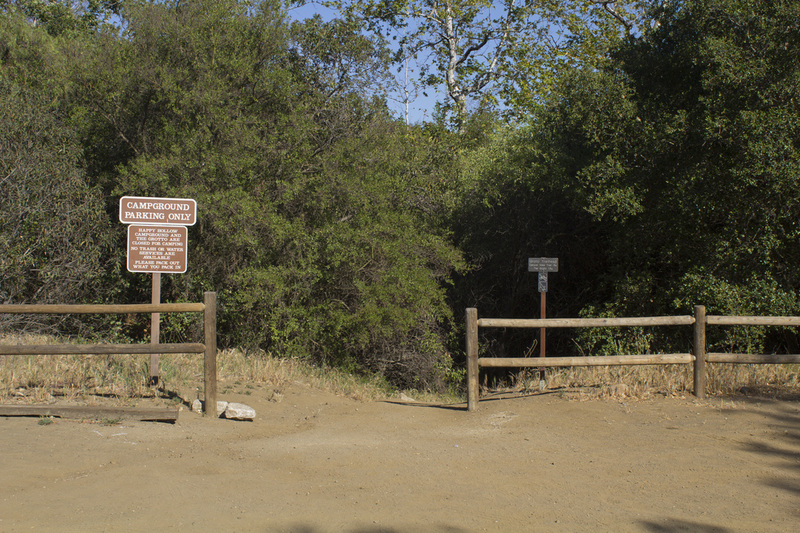 While the trail is family and dog friendly, it is advised against letting small children scramble over the rocks to the Grotto and dogs are not permitted past the boulder field. Take the PCH Highway through Malibu. Turn right up Yerba Buena Road (alongside Neptune’s Net Restaurant) and continue for 5.5 miles until you arrive at the Circle X Ranch Ranger Station (on the right). Park here and follow the signs to the trailhead. 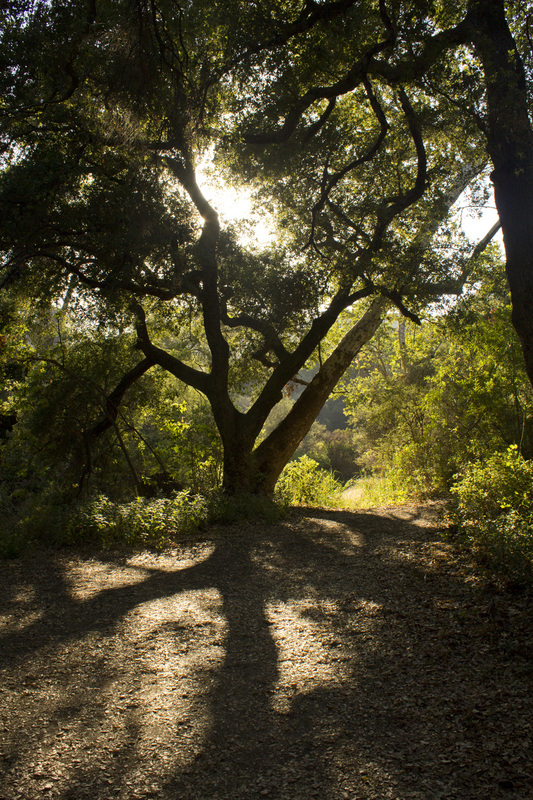 Rest rooms and water are available at the Circle X Ranch Campground's host building. Pit toilets and water spigots are also available in the campground by the trailhead. Additional day use parking is located on the dirt road below the host building. Day use parking is located at the campground host building. Overflow parking is located down the hill below the host building. The trail begins .25 mile below the parking area. your right and continue down the wooden steps. tumbles down the interior of the grotto.